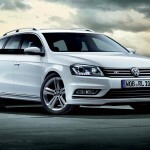 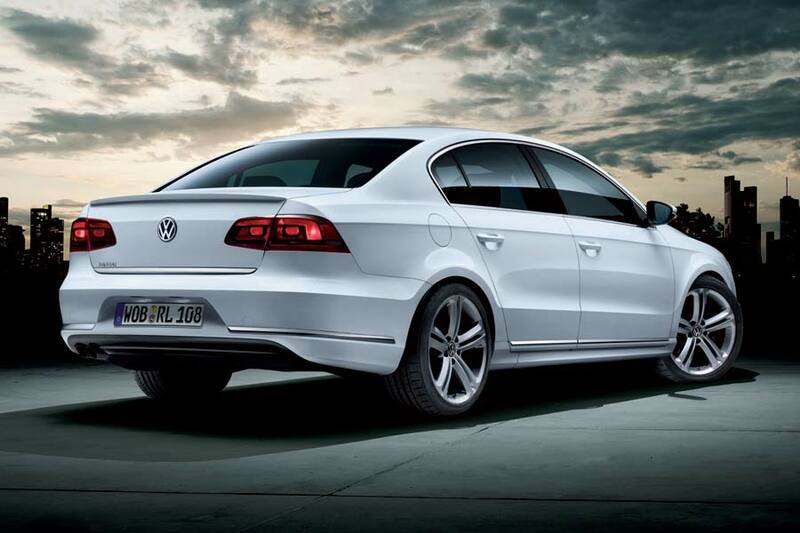 Following on from the recently revealed Polo R-Line, Volkswagen has announced the arrival of a Passat R-Line model. 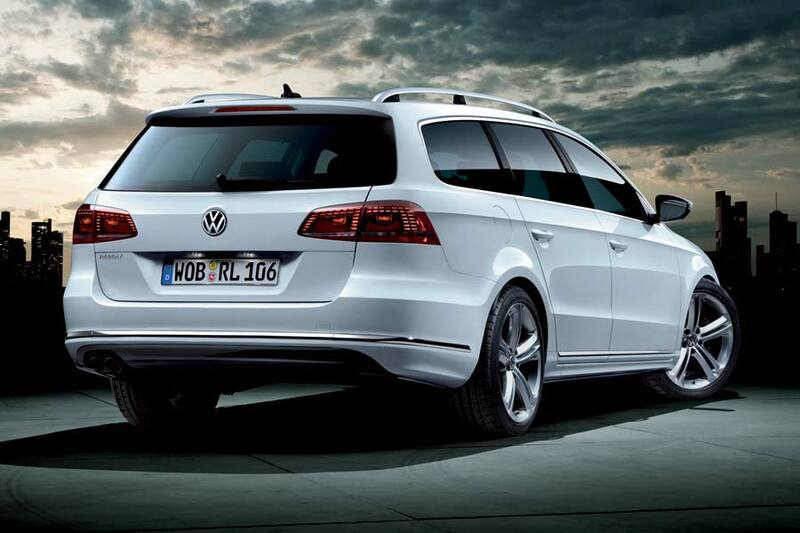 Externally, the Passat wears a sportier front bumper with large grille area and integrated fog lamps, restyled side skirts, a gloss black diffuser insert for the rear bumper, roof spoiler and anodized silver roof rails. 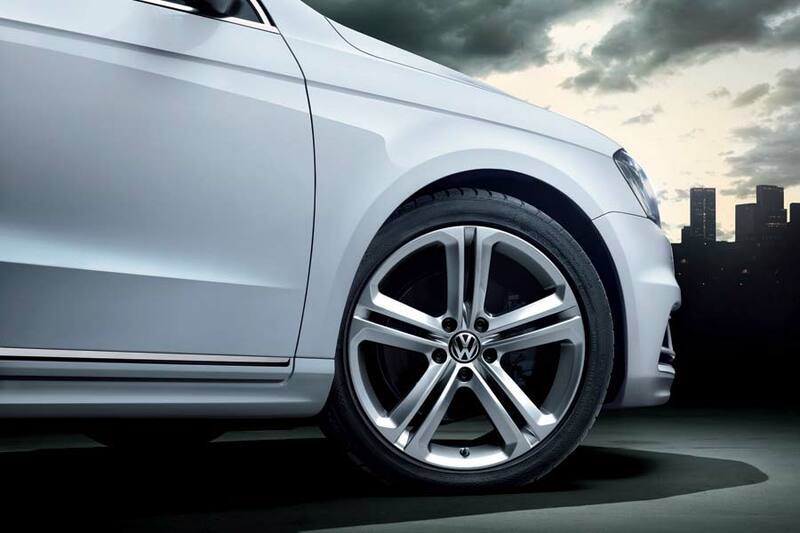 A sports suspension kit provide a 15 mm reduction in ride height, while the titanium silver ‘Mallory’ alloy wheels can be optionally upgraded from 17 to 18-inches. 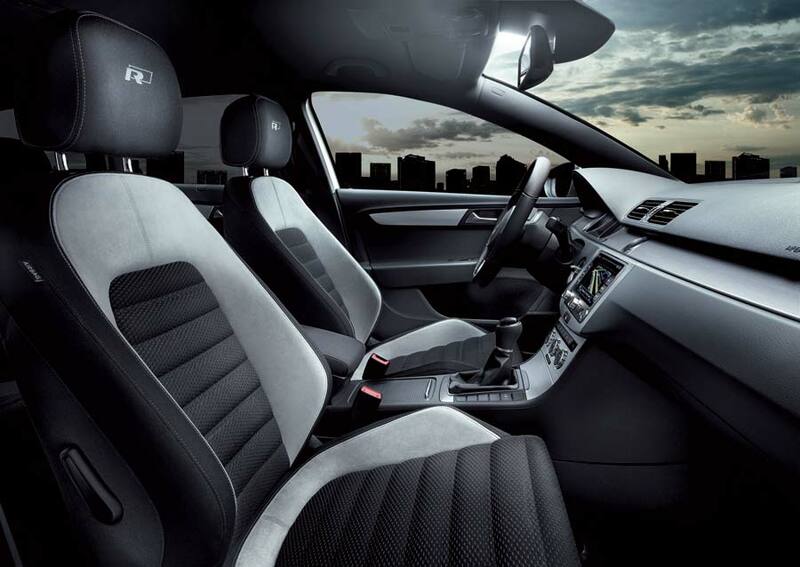 Moving inside the cabin, R-Line equipment consists of door sill plates, a leather-wrapped steering wheel, sports seats trimmed in ‘Kyalami’ cloth, ‘titanium silver’ decorative inserts in the dashboard, door panels and centre console and stainless steel pedals. 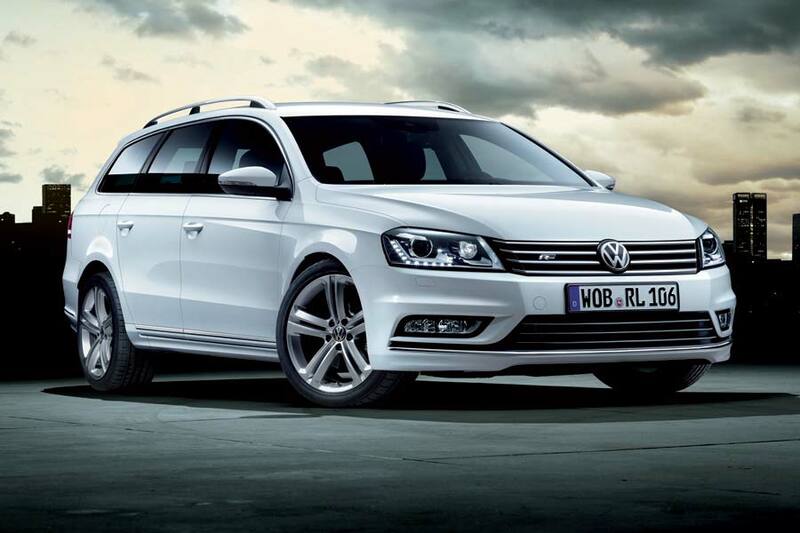 Prices in Germany begin at € 30,225, or alternatively Volkswagen offers its ‘R line package’ option for the Comfortline and Highline models. 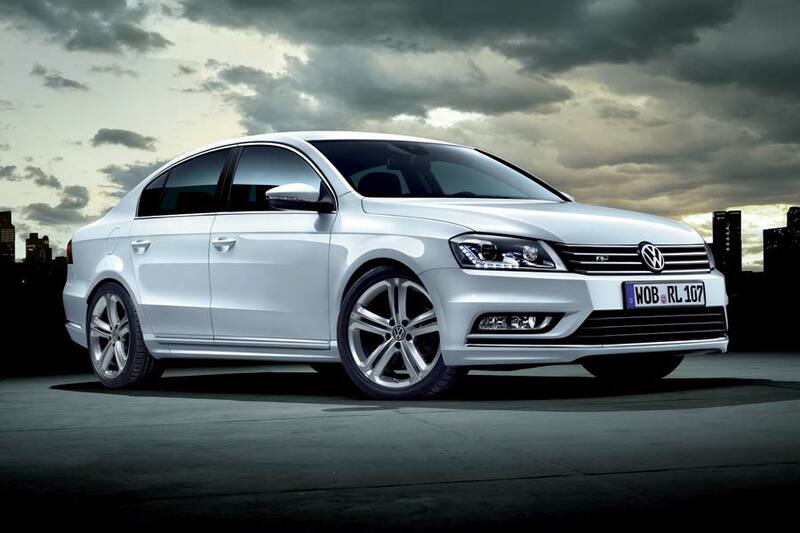 The additional € 990 gets you a grille badge, front bumper, side skirts and rear spoiler.